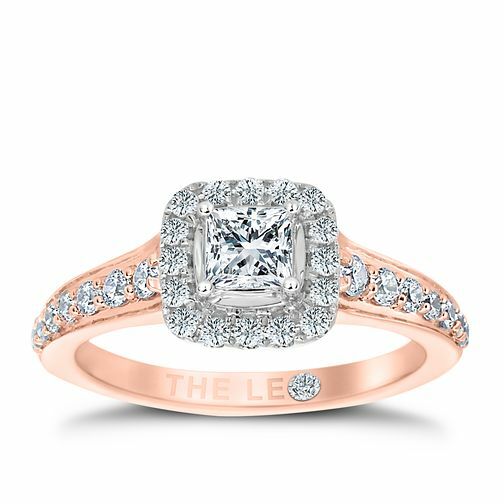 A beautiful 18ct rose gold ring featuring a princess cut diamond surrounded a halo of diamonds and diamond set shoulders. Handcrafted by leading diamond cutter Leo Schachter, the Leo Diamond is cut to reflect light like no other diamond. With its unique facet design, the Leo Diamond is the first diamond to be independently measured for its fire and brilliance. Certificated by IGI & Gemex.